ABBOT, Charles (1757-1829), of Kidbrook, Suss. b. 14 Oct. 1757, 2nd s. of John Abbot, DD, rector of All Saints, Colchester, Essex by Sarah, da. of Jonathan Farr, draper, of Moorfields, London. educ. Westminster 1763; Christ Church, Oxf. 1775-8, Vinerian scholar 1781, fellow 1786-92, BCL 1783, DCL 1793; Geneva (DCL) 1778-9; M. Temple 1768, called 1783; L. Inn 1785. m. 29 Dec. 1796, Elizabeth, da. of Sir Philip Gibbes, 1st Bt., of Spring Head, Barbados, 2s. cr. Baron Colchester 3 June 1817. Clerk of the rules, KB 1794-1801; chief sec. to ld. lt. [I] 13 Feb. 1801-Feb. 1802; PC 21 May 1801; sec. of state [I] June 1801-Feb. 1802; keeper of the privy seal [I] May 1801-d.; commr. for building new churches 1818. Dep. recorder, Oxford May 1800, recorder May 1801-Oct. 1806; bencher M. Temple 1802, reader 1805; lt.-col. East Grinstead vols. 1803. 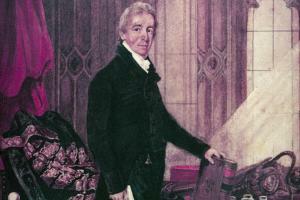 Speaker of House of Commons 11 Feb. 1802-30 May 1817. Thanks to his school acquaintance with the 5th Duke of Leeds, Abbot had been one of the duke’s candidates at Helston in 1790, involved in a double return which was decided against Leeds in the first instance. At the next vacancy in 1795, Leeds being once more in control, Abbot was returned, without ‘one syllable upon politics’. He claimed his freedom of action at once by voting for the address, 29 Oct. 1795, despite a hint to the contrary from his patron: he meant to be no man’s ‘blackamoor’ and intended in general to support the minister, ‘be he Pitt or Fox’, as an independent Member. He voted accordingly for the seditious meetings bill, 10 Nov., and on 3 Dec. defended it against Fox, despite a hostile petition from Helston and in a manner that gained the approbation of Pitt, George III and Addington and the embarrassed acquiescence of his patron, who remained opposed to the measure.2 On 15 Mar. 1796, Abbot was in the minority for the abolition of the slave trade, this time meeting his constituents’ wishes. After marrying a planter’s daughter later that year, he took no further part on the subject, but was listed ‘friendly’ to abolition in 1806. From the start Abbot showed an absorbed interest in the business of legislation, particularly in its rationalization, which appealed to his methodical mind. Under Speaker Addington’s aegis, he chaired a committee on the revision of expired and expiring legislation, suggested by him on 14 Mar. 1796 and moved on 12 Apr. Its report in June regulated the business once and for all and the annual reports were subsequently vetted by Abbot. In April he made himself useful in the waste lands committee, gaining Pitt’s commendation. He tried resourcefully to have the resulting bill printed ‘with the clauses numbered, and marginal notes added to each clause in explanation of its contents’: but this in novation was then countermanded. From 2 Nov. 1796, after the Speaker had secured official support for him, he presided over a committee to regulate the promulgation of statutes: the toil and the credit were his when its report, which saved £14,000 of public money, was in due course adopted as a standing order.3 Abbot’s scheme for a more rational style for statutes fell on deaf ears. Before the general election of 1796, Abbot had received an invitation to stand for his native Abingdon, sponsored by the corporation, but with freedom of action.4 He was also courted by the Duke of Marlborough, who wished him to become deputy recorder to his friend Francis Burton at Oxford, and eventually succeed him in a seat for the city. Abbot retained his seat for Helston, satisfied with the knowledge that if he thought it necessary to vacate it, he had an opening elsewhere. On 17 Oct. 1796 he seconded Adair’s Quaker relief bill, having been on the committee in April, and helped to prepare it. A month later when a puisne judgeship fell vacant, he had his last hankering for a step in his profession: he had become a recruit to the public service. Pitt asked for his assistance in framing his poor bill, January 1797, and on 13 Mar. named him for the select committee on finance. He came second on the ballot and was next day placed in the chair. He acquitted himself of this crucial test of his abilities with great credit, undertaking the reports on the customs, the Bank and Exchequer audit alone and several others in collaboration. Twenty-two reports were presented in July 1797; in the ensuing session, he defended them against their critics and was reappointed to the chair of the revived committee, 21 Feb. 1798. Fourteen more reports, three compiled by Abbot alone and others by him in collaboration, were presented at the end of that session. Abbot remarked, ‘No sort of commendation was bestowed upon the committee or its labours from any quarter—nor any phrase of approbation—except that Mr Pitt when he moved for the reappointment spoke of them as diligent and of their reports as voluminous’. He added that ‘many people in and out of the House showed ... ill will in consequence of our inquiries’: he had to enlist Pitt’s assistance to overcome the resistance of the judiciary. In submitting the second batch of reports to the Speaker, he had hoped they would lead to redress of administrative anomalies, showing that the constitution was capable at a critical juncture of repairing its own defects.5 In practice the only consequences were the abolition of patent offices in the customs and the establishment of a superannuation fund; the transfer of the salt revenue to the excise; and an abortive bill to compel personal attendance of employees in the public service; in addition to two Treasury reports on their proceedings on the recommendations made by the committee and one from the Admiralty, elicited by Abbot in the House. Even so, in November 1798, when Sir John Sinclair proposed a committee on the country’s finances since 1783, Pitt insisted that it was unnecessary, as the finance committee of the last two sessions ‘had everything to recommend it ... for industry, judgment and talents’. Abbot, who had also carried a resolution making the printing of private bills optional, 22 Nov. 1797, assisted Pitt with the assessed taxes bill in December. This led to a showdown with his parliamentary patron, who wished him to oppose the bill. Abbot refused and, explicitly preferring the present government to opposition, offered to resign his seat: whereupon Leeds retracted, promising to trouble his nominee no more on political subjects, while Abbot volunteered to resign at his patron’s convenience. He went on to make a voluntary contribution to the war effort which, with tax, accounted for a fifth of his disposable income. On 31 Dec. 1798 he was a prominent spokesman for Pitt’s income tax bill. In January 1799 he moved for the production of the annual finance accounts of the Treasury: they were presented in seven sets between then and June, ‘not without much soreness and ill-will on the part of the secretaries of the Treasury’. Thereafter these accounts, which Abbot thought ‘exceed in compass and perspicuity all the parliamentary accounts hitherto in use’, were produced annually at his instigation. Apart from the compilation of two reports on expiring statutes in March and September 1799 and carrying six bills in connexion with them, as well as the perpetuation of the Treason Forfeiture Act, May-June 1799, he was also active on the copper trade and London docks committee, for whom he drew up a report that led to the establishment of the Wapping docks and the plan for rebuilding London Bridge. On 18 Feb. 1800, encouraged as always by Speaker Addington, Abbot moved for a committee of inquiry into the preservation and publication of the public records and was to be the leading spirit of the Record Commission for many years, though his unavoidable absence in its formative years handicapped it. In May he carried a bill for charging public accountants with interest, the statutory effects of which were acknowledged by the committee of public expenditure ten years later. In November he was responsible for another innovation of public utility, the population bill, which provided for a national census, to be followed by a statistical digest of births, deaths and marriages. While the prevailing food scarcity was its pretext, it was conceived by Abbot as a contribution to defence planning, an aid to government in assessing the country’s manpower.6 ‘Not a word passed’ against it in the Commons, but after a setback in the Lords, Abbot carried an amended bill in December. On 18 Dec. he carried the renewal until 1807 of the army and navy sedition bills. In the previous month, he had been prepared to move the address at short notice, if Sir John Wrottesley had not, after all, been able to do so, and he had meant to speak on the address on 2 Feb. 1801. He had no sympathy, however, for Pitt’s views on Catholic relief. 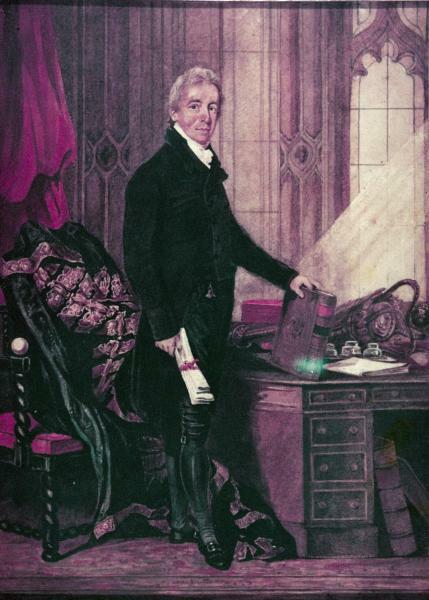 I must be in England during the session, and do the parliamentary business of Ireland, that I should have an office for the purpose to attend to [the Irish Office opened by Castlereagh in Great George Street]; and after each session I should go over to Ireland and make that my country house. Another self-appointed duty dictated the extension to Ireland of the benefits of his administrative reforms. He has moved for the continuance of the martial law bill, the Irish placemen’s bill, and that for regulating contested elections, in a manner that did him honour, in the opinion of everybody. he is warm and high; and rather too fond of carrying a point that he is set upon, coûte que coûte. The latter defect naturally arises from the perseverance and determination which form so brilliant a feature of his character. The King himself admitted to Lord Pelham that it seemed ‘but too probable that the inclination of Mr Abbot to innovation in the mode of conducting business in this country has accompanied him to Ireland’, and that he should be ‘decidedly prevented from continuing that career before it becomes more detrimental to the public service’.11 Abbot gained his point about Charleville, but there was a move in London to prevent his pushing matters so far in future: Yorke wrote, ‘There must in future be concert with the government at home’ and hinted to Hardwicke that Abbot must be weaned from ‘the ambition of doing everything by himself and from himself’.12 When it became clear to Abbot in October that Pelham, as Home secretary, was attempting to take over the control of Irish policy, reducing the lord lieutenancy to ‘a pageant’, and contemplating the abolition of the Irish Office in London (where he had planted his friend Legge to facilitate its organization for his service) he counteracted it by drafting a protest in Hardwicke’s name and by having the military under-secretary at Dublin, Littlehales, sent over to discourage Addington from falling in with Pelham’s intentions. Hardwicke stood by Abbot, who believed that he had preserved the character of the lord lieutenancy. Abbot was, however, firmly opposed to Whitbread’s notion of continuing the committee to draw up articles of impeachment against Melville during the recess, an irregularity that he scotched on 10 July. On that day he secured Pitt’s assurance of support for his re-election as Speaker if he vacated Woodstock for Oxford University, where he was assured of support if Sir William Dolben retired at the dissolution. His relations with the Grenville administration, in the formation of which he did not meddle, were somewhat embarrassed: Fox had to be lectured by him on the necessity for maintaining ‘the modern practice’ by giving notice of his motions in the House, 3 Feb. 1806, and Lord Grenville to be denied the assurance of his support if he stood for the chancellorship of the University of Oxford, which shared Abbot’s views on the subject of Catholic relief. Nor did Abbot take kindly to hints that the Chair was wanted for Tierney: he refused in May 1806 to be ‘accessory to my own deposition’, even for a pension, and objected to sub rosa communications on the subject. When in July Dolben privately agreed to make way for him, Abbot became the Christ Church candidate for his university. His election proved highly embarrassing. True, he obtained Grenville’s assurance that government would support his re-election to the Chair once it was clear that Thomas Grenville was out of the question, and that the premier personally wished him well for the university election, but he found his old friend Richard Richards set up against him, with the good wishes of Charles Williams Wynn, Grenville’s nephew and another possible contender for the Chair, and in competition with him for the good wishes of government. Grenville reassured him and Richards withdrew, enabling Abbot to defeat his anticipated competitor, Heber, with ease; but he was then threatened with a petition against his return on the grounds of disqualification, by his tenure of the recordership of Oxford. This he hastily resigned and the petition was discouraged by Heber, but Abbot had meanwhile been obliged to secure the services of his reluctant erstwhile patron Marlborough in bringing him in for Heytesbury, just in case he failed at Oxford, the Treasury being unable to find another seat for him.20 Despite previous rumours to the contrary, he was re-elected to the Chair unopposed on 15 Dec. 1806 and Wilberforce, seconding, credited him with being a ‘perfect model’ as a Speaker, with particular reference to his unseen attention to private business. On 1 Jan. 1807 the House approved Abbot’s bill to limit the reception of private bills; within the time provided, 247 private bills were presented, of which 107 were committed: Abbot subsequently, April 1811, provided regulations to expedite the work of private bill committees and set up the Private Bill Office. He also expedited the dispatch of election petitions—37 out of the 43 presented were decided before Easter. The volume of public business, which he estimated to have trebled between 1760 and 1801, was to increase by two-thirds of its total amount between 1801 and 1813, by which time it was thus five times as great as in 1760. Abbot was committed to Oxford University to voice his objections to the Catholic relief measure which brought down the Grenville ministry. On the formation of the Portland ministry, ‘high office’ was predicted for him, but he was unanimously reelected to the Chair after the general election, 22 June 1807. He at first found Perceval, who had been eloquent in his praise, a sympathetic leader of the government in the House and was to have headed a commission on English schools proposed by Perceval in July 1807 but subsequently dropped. He went so far as to invite Charles Yorke, then out of office at Hardwicke’s command, to his ministerial dinner in January 1808, but went no further in political intrigue.21 On procedural matters, however, he was adamant in his impartiality: despite an unpleasant brush with Tierney, who was thought to have coveted the Chair, on 16 Mar. 1808, when Tierney accused him of silencing him arbitrarily, Abbot upheld Tierney’s objection to Henry Bankes’s bringing on the reversion bill on 5 Apr., despite the fact that he had given every encouragement to his old school friend’s chairmanship of the select committee on public offices the previous year, and despite the knowledge that Perceval was anxious to have the bill debated that day. Moreover, although he intensely disliked Perceval’s handling of John Palmer’s* compensation claims and advised him not to tolerate the Lords’ rejection of the bill, he confined himself, in committee, to procedural questions on the subject.22 On 1 Feb. 1808 he delivered the first of many speeches expressive of the thanks of the House to army and navy officers for their successes in the war against Buonaparte, which were regarded as models of their kind and subsequently published together. completed my 52nd year of a life of great and undeserved happiness and prosperity—blessed with a wife and children to my heart’s delight; my health not much impaired by my professional or official habits of life—a course before me of plain and easy duties to perform in my public station and with no wish unsatisfied, but that of providing a more adequate maintenance for those who may survive me. Abbot’s most trying experiences in the Chair were yet to come, and the session of 1810 shook his health. At its opening he was obliged to shout the Princess of Wales out of the gallery when it was cleared for the division. The Scheldt inquiry did not perturb him and he upheld the House’s right to compel disclosures from a privy councillor (Sir David Dundas) on 2 Feb. and gave his opinion confidently on Lord Chatham’s justificatory narrative on 19 Feb. On 27 Feb. John Fuller ran amok and called Abbot ‘the insignificant little fellow in the wig’,24 but it was Burdett’s breach of privilege that really upset him. The failure of his officers to effect the arrest of Burdett according to his warrant had to be explained to the House; he was obliged to retain the law officers as counsel when Burdett instituted court proceedings against him, with the additional mortification of finding Perceval unwilling to assert the authority of the House against such an abrogation of the Speaker’s order. Having failed to persuade the opposition leaders to join in a bipartite conference on the subject at the Speaker’s house, 3 May 1810, he had to be satisfied with the finding of a committee that there had been a breach of privilege, 10 May, but that the House was prepared to allow the courts to adjudicate between Burdett and the Speaker on the former’s suit; and although judgment was given against Burdett in King’s bench (17 May 1811), his appeal was not settled by the Lords in Abbot’s favour until 7 July 1817. Abbot was consulted by Perceval as to the Regency proceedings on the King’s illness in November 1810. He supported by his vote, 20 Dec. 1810, and, after maintaining strict silence hitherto, on 4 Feb. 1811 by a powerful speech, the institution of a regency by bill rather than by address.25 Soon after there were rumours of his having a peerage and perhaps a secretaryship of state, but he denied all knowledge of it. On 5 June 1811 he gave his casting vote with the ayes for a committee into delays in Chancery, it being an inquiry into existing grievances. In February 1811 he induced Perceval to regulate by bill the offices of the House of Commons. He also gave himself ‘endless trouble’ out of the House to secure the passage of the parish register bill, May 1812. It was a moral defeat for the Chair, but Abbot again disappointed those interested observers, such as Canning, who thought he must now retire, adequately vindicated.29 The rest of the session saw him in his glory, playing host in the House to the Duke of Wellington, the Emperor of Russia and the King of Prussia. The House heard in polite silence a suggestion by Serjeant Onslow on 15 July 1814 that the Speaker’s salary should be increased. in my sixteen years the business which I had gone through was more than twice the quantity in half the time, including all the Irish business, and the attendance of a hundred additional Members, together with the constant burden of the Record Commission, and the Scottish Highlands Roads and Bridges, and Caledonian Canal Commissions, etc. etc., unknown to former Speakers. He privately believed that it was the work of the London and Middlesex penitentiary committee that had destroyed his health the year before. He further maintained that the Speaker’s salary covered only two-thirds of his expenses. The House, after asserting its right to pray for Abbot’s peerage rather than be informed that the Regent had bestowed it on him, thanked its indefatigable Speaker on 5 June. He retained his commissions, ‘that I might have something to do’. He remained active in the overhaul of parliamentary business as a peer and was in February 1818 and September 1822 tipped for the Home Office, but did not seek high office. Lord Sidmouth remained his political mentor. George Rose believed that ‘the duties of the Chair were never so performed’: Abbot certainly eclipsed his predecessors, including Addington, in perspicuity, zeal and activity. His diaries and papers reveal the entire dedication to his office of a complete man of business; and he subjected to analysis his every function, applying to public business a punctilio and a rationalizing spirit which would in other spheres have made him a remorseless reformer. He died 7 May 1829. Based on the Colchester (PRO) 30/9 and Colchester Diary and Corresp. (3 vols. 1861). 1. Harewood mss, Canning jnl. 10 Mar. 1795; R. B. Pugh, ‘C. Abbott and the Pub. Recs.’, Bull IHR, xxxix. 69. 2. Malmesbury Diaries, iii. 255. 3. Pellow, Sidmouth, i. 167-9; Debrett (ser. 3), i. 203, 510; ii. 1, 72, 389; iv. 201. 4. Berks. RO, Preston mss, Abbot to Sellwood, 30 Apr. 1796. 5. Sidmouth mss, Abbot to Addington, 1 Oct. 1797. 6. PRO, Dacres Adams mss 3/86. 7. Add. 35701, f. 233. 8. Ibid, ff. 9, 48. 9. Keele Univ. Lib. Sneyd mss, Cooke to Auckland, 25 Sept., 8 Oct. 1801; Add. 34435, f. 429. 10. Add. 35701, f. 78; Broadlands mss (NRA), Ld. to Lady Palmerston, n.d. .
11. Add. 33115, f. 24. 12. Add. 35701, f. 92. 13. PRO 30/8/328, f. 99; 30/9/15, Long to Abbot, 26 Dec. ; Redesdale to same, 12 June; 30/9/34, Abbot diary, 10 Feb. 1806. 14. PRO 30/9/1, pt. 3/3. 15. Grey mss, Tierney to Grey, 11 Feb.; Lansdowne mss, Holland to Petty  Feb.; NLS mss 11054, f. 14; Spencer mss, Ld. to Lady Spencer [recd. 11 Feb. 1802]; Leveson Gower, i. 331; Fitzwilliam mss, box 60, Laurence to Fitzwilliam 12 Feb. 1802; Twiss, Eldon, i. 402. 16. Dublin SPO 520/129/40, Rickman to Marsden, 10 Aug., 26 Nov. 1802. 17. Add. 49188, ff. 103, 126; Sidmouth mss, Redesdale to Addington, 29 Nov. 1803; Glos. RO, Redesdale mss C25, Perceval to Redesdale, 7 Jan. 1804. 18. Malmesbury Diaries, iv. 347; Leveson Gower, ii. 52; Sinclair mss, memo ‘Circumstances which contributed to the parliamentary vote against Ld. Melville’. 19. Leveson Gower, ii. 169. 20. Add. 34457, f. 127. 21. PRO 30/9/15, Wickham to Abbot, Fri. [20 Mar. 1807]; Add. 45037, f. 10. 22. Geo. III Corresp. v. 3637; PRO 30/9/34, Abbot diary, 20 May, 2 July 1808. 23. Geo. III Corresp. v. 3895; Romilly, Mems. ii. 293. 24. Geo. III Corresp. v. 4100; Creevey Pprs. ed. Maxwell, i. 123. 25. Rose Diaries, ii. 480. 26. Malmesbury Letters, ii. 277; Buckingham, Regency, i. 298, 299; HMC Fortescue, x. 249, 250. 27. Fortescue mss, Holland to Grenville, 23, 26 July, Williams Wynn to same, 2 Aug.; Grey mss, Rosslyn, to Grey, 31 July 1813. 28. Add. 45037, ff. 20, 22; Merthyr Mawr mss L/195/13. Abbott to Nicholl, 8 Apr. 1814; Romilly iii. 133. 29. Colchester, ii 278; HMC Fortescue, x. 385.